For those of you familiar with Toscanini’s, the famed ice cream café in Central Square, it should come as no surprise that one of my favorites is the Burnt Caramel. A part of me wishes it weren’t, since Burnt Caramel is probably one of the most beloved of the masses, and who wants to be a follower? To me, burnt caramel on its own isn’t acridly bitter. Sure it is a little bitter, but pleasantly so. And when used in ice cream, its bitterness is detectable but tamed. Well, folks, it’s possible to recreate this flavor at home. 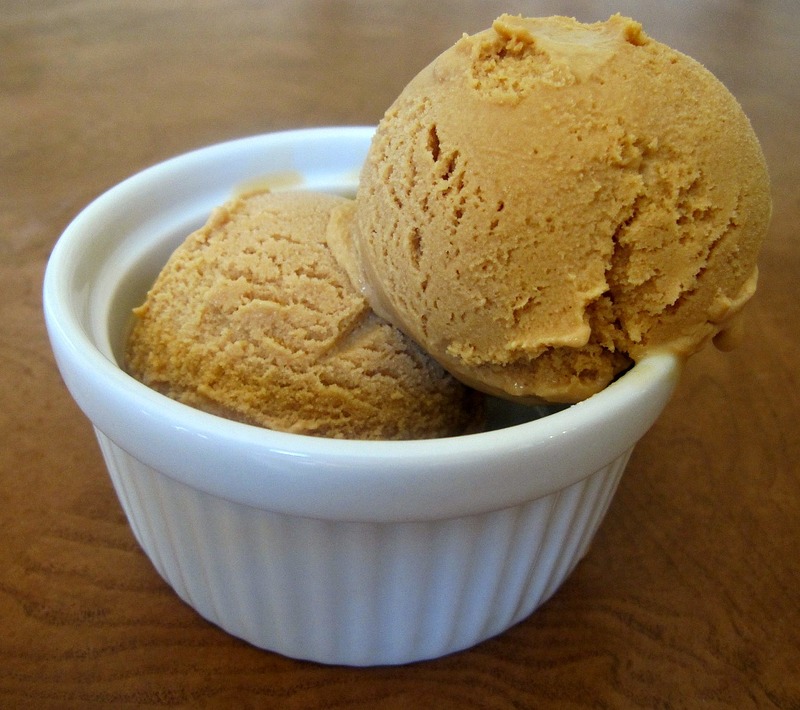 A couple of years ago, when I purchased Baking from My Home to Yours, by Dorie Greenspan and read through it (read: studied it like a novel), I reached a recipe for Burnt Sugar Ice Cream near the end that I knew would mimic the flavor of my favorite Tosci’s treat. I flipped the page. Making it felt like cheating on someone I really loved. No one (Christina’s, I’m looking at you), not even the lovely Dorie Greesnpan, could top this sacred flavor, so why should I set myself up for disappointment? But after a three-month absence from Toscanini’s, I decided the time had come. Tosci’s scoops have a very distinct texture, but – and I’m almost afraid to say this—this ice cream is just as good, if not better since I made it myself. You are the master of your own ice cream bliss here. Dorie encourages you to be naughty with your cooking time, and I know that this contradicts the average cook’s better judgment. 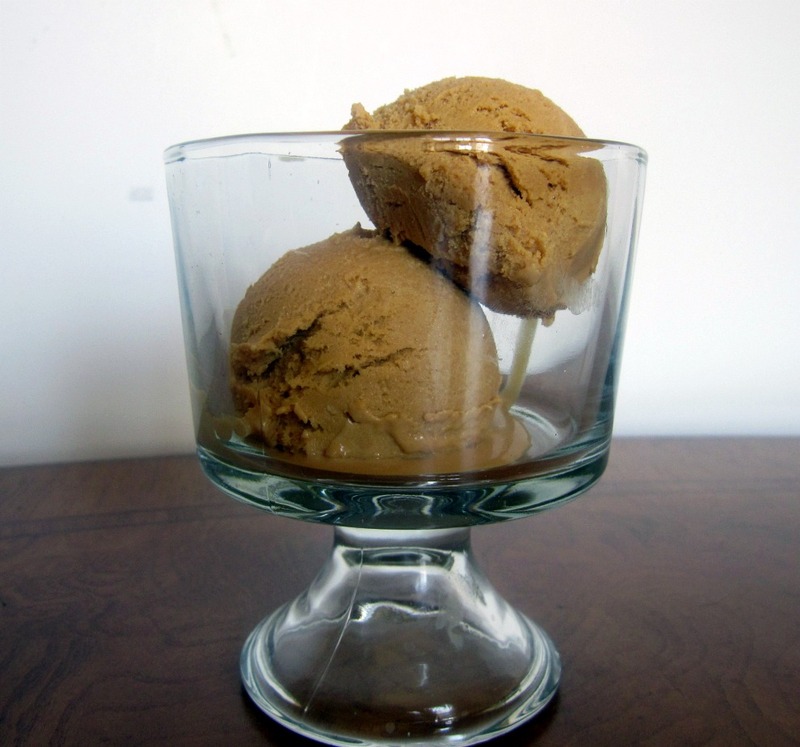 I’ve seen people make this ice cream, and it’s as pale as me (and that’s pretty darn pale). Just go for it. By the time you add cream, milk and eggs you’ll be happy you did. 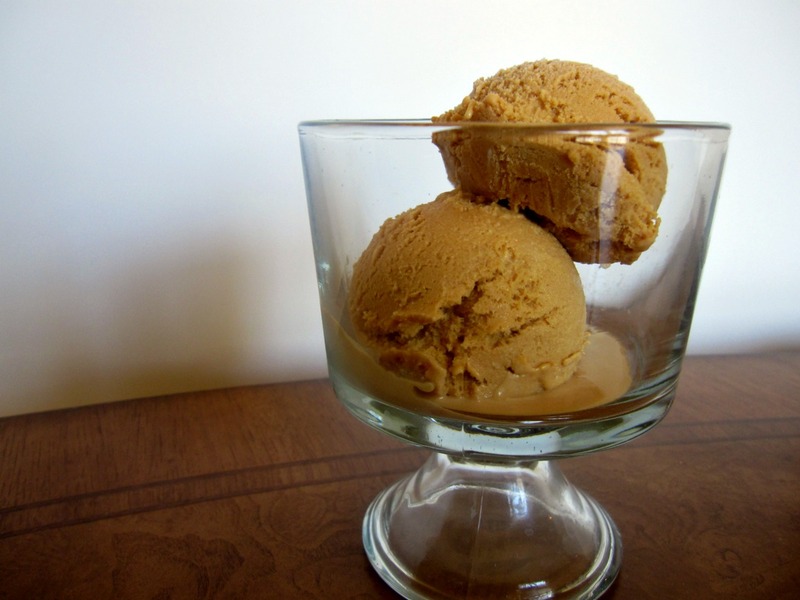 And caramel, as a liquid sugar, gives the ice cream an outrageously creamy texture. Your ice cream scoop has never had it so good. Stand back–things can get a little wild–lower the heat and add the milk and cream. Don’t be concerned when everything bubbles and seethes and the caramel hardens; it will calm down and smooth out as you heat and stir. Continue to heat and stir and when the mixture is smooth, remove the pan from the heat. In a medium heatproof bowl, whisk the yolks and salt together until blended and just slightly thickened. Still whisking, drizzle in about one third of the hot liquid–this will temper, or warm, the yolks. Whisking all the while, slowly pour in the remaining liquid. Pour the custard back into the pan and cook over medium heat, stirring without stopping, until the custard thickens slightly and coats the back of a spoon; if you run your finger down the bowl of the spoon, the custard should not run into the track. the custard should reach at least 170 degrees F, but no more than 180 degrees F, on an instant-read thermometer. Immediately remove the pan from the heat and pour the custard into a 2-quart liquid measuring cup or clean heatproof bowl. Stir in vanilla extract. Refrigerate the custard until chilled before churning it into ice cream. Scrape the chilled custard into the bowl of an ice cream maker and churn according to the manufacturer’s instructions. Pack the ice cream into a container and freeze it for at least 2 hours, until it is firm enough to scoop. Makes about 1 1/2 pints. Serving: If the ice cream is very firm, allow it to sit on the counter for a few minutes before scooping or warm it in a microwave oven using 5-second spurts of heat. Storing: Packed tightly in a covered container, the ice cream will keep in the freezer for up to 2 weeks. Definitely inspired to make these. Love caramel too!